Metric Reveal New Album Coming In September - GENRE IS DEAD! Canadian rock band Metric has announced their new album, due out this fall. The follow up to 2015’s Pagans in Vegas still doesn’t have a title, artwork, or a tracklist, but it will be out September 21 via MMI/Crystal Math Music. Despite the lack of details, the band has launched pre-orders for the album, which include various bundle options. Those who pre-order early will receive a signed, limited edition seven-inch flexi disc of “Dark Saturday,” lead single from the upcoming LP, at no extra cost. The pre-order also comes with an instant digital download of the new song. Pre-order your copy here. 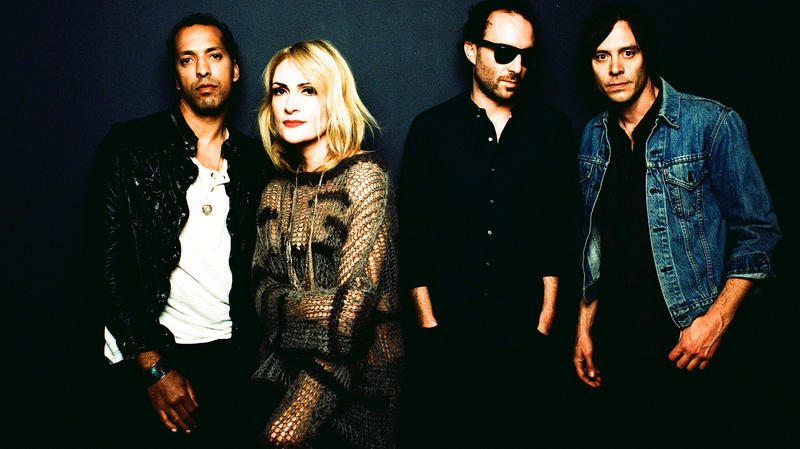 Metric premiered their new song “Dark Saturday” on NPR’s All Songs Considered last week. Speaking about the new song, frontwoman Emily Haines said “This is our seventh album as a band and we wanted the first song people heard from it to be ‘Dark Saturday’ as a sonic heads up that our guitars are back in force. Lyrically, the song depicts a dystopian nightlife scene of gaudy wealth where oblivious party girls say nauseating things like, ‘I’m so rich everything’s free.’” Listen to the track below. The band is currently touring with Smashing Pumpkins on their Shiny and Oh So Bright tour. They’ll be opening for the band’s reunion tour until the trek concludes September 8 in Vancouver, BC. Tickets are on sale now. Check out those dates here. They will also tour overseas on a headlining tour starting October 25 in Moscow. Pre-sale tickets are on sale now at the band’s websites. Get all the details on the overseas tour here.